It was always my dream to travel by a luxury train, amidst all the royals and comfort. Every individual of 2000s has grown up watching Harry Potter movies. This movie has left us with some great memories; one such is the magical train ride. At some point, you might have definitely thought of, “I wish I could ride in one”. Well, you can! 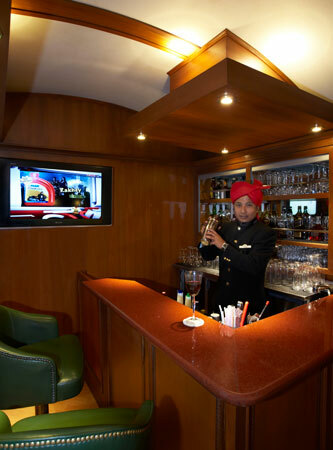 For your next holiday, how about you try something new and have a lifetime experience, by travelling in Maharaja Express – the World’s Leading Luxury Train. Maharaja Express has definitely redefined the whole train travelling experience. 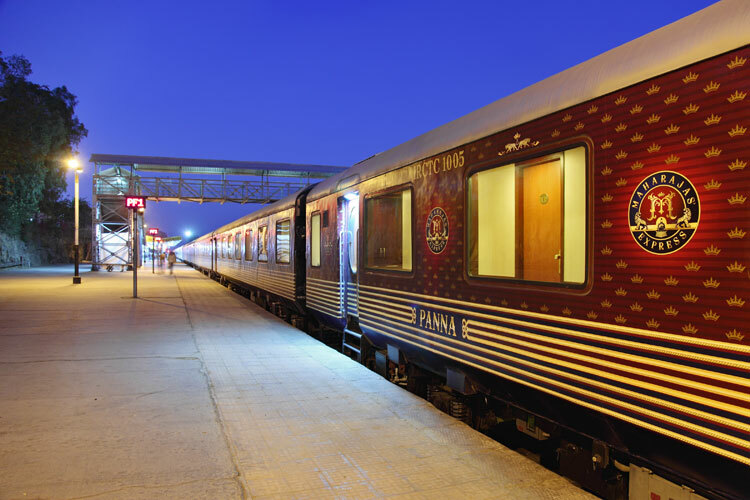 This renowned royal train is not only praised for its amazing services but also scrumptious food. I decided to book tickets for my parents 25th wedding anniversary. My parents had always wanted to explore the true gems of India – Delhi, Agra, Ranthambore and Jaipur. (Well, these places form a shape of a diamond). Hence, I decided to go for The Gems of India, a four-day journey that lets you explore and experience the true gems of India. What makes this journey the most famous one is, it helps one to experience the beauty of India in just a couple of days. Well, coming to the journey, it begins from Delhi, moving to Agra, then to Ranthambore-Jaipur and back to Delhi. This four-day journey lets one get immersed and captivated by the culturally rich heritage. It was started when we arrived at Delhi for our check-in formalities and not to forget a grand welcome by the hosts. My parents were taken aback, for, they never thought train travelling would be such a luxurious and royal experience. Once we were on the train, the royal interiors definitely caught our attention. As we relaxed in our cabin - Maharaja Suite, enjoying the beautiful landscapes, the train glided its way to the next destination – Agra. Awe-inspiring palaces, impressive monuments and phenomenal forts, this is what you get when you visit Agra. We were amazed by the phenomenal structure of Taj Mahal, an epitome of true love. A short walking distance and there is Taj Khema, a beautiful elevated garden that offers spectacular views of the famous Taj Mahal. Another historical monument we visited Itmad-Ud-Daula, the exquisite first of its kind marble tomb. 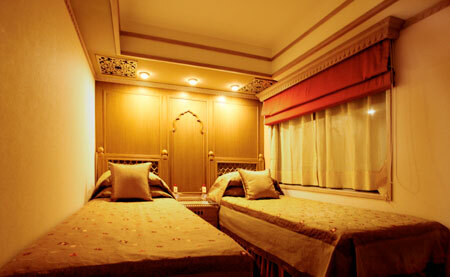 We, as guests had the option of retiring to the luxury train, or visiting the famous Fatehpur Sikri. My parents were at their best decided to visit Fatehpur Sikri, which is a testimony to the Mughal civilisation. In the evening, we witnessed a spectacular Mohabbat-e- Taj show. We retired to our cabins happy and amazed that India has such beautiful destinations that are not explored enough. On the third day of the tour, we had a date with majestic Tigers at Ranthambore. It was an exciting drive for Ranthambore is known for wildlife tourism, majorly for tigers. This park is the perfect spot to witness these majestic predators in their natural habitat. Not many know, but this park was earlier a hunting ground of the Maharajas of Jaipur. We moved on to Jaipur after our enthralling experience at the park. The pale yellow and pink sandstone structure with white marble, Amber Fort stood tall amidst the sand dunes. It is definitely a sight to behold! We concluded our golden triangle journey with great memories and experiences to return to Delhi. Though the tour has come to an end, the royal voyage was definitely an unforgettable one. My parents loved every bit of it, and all the credit goes to Worldwide Rail Journeys for making this happen. They not only made the whole booking process easy but were also helpful in every aspect of it. Explore the south in the rains on Maharaja Express!